I have been trialling Sensodyne Pronamel Toothpaste and Mouthwash for the last few weeks. Protecting my teeth from acid erosion is something that I feel personally is important to me as I do like to eat a lot of fruit. And of course who doesn't want to give their teeth the best protection wherever possible? * Pronamel has a unique formulation. It helps minerals penetrate deep into the enamel surface, activelt strengthening and re-hardening weakened enamel, making it stronger, healthier and better protected from the effects of everyday acids. Enamel is the hardest substance in the body. If not protected over time it can be weakened and erode. Enamel is the white, mineral rich, outer layer of our teeth that protects the dentine underneath. Acid erosion is caused by eating and drinking acidic foods such as fruit juice, fizzy drinks and even salad foods. Yellow and dull enamel can be a sign of acid erosion. It's important that we start protecting our enamel against acids to help stop acid erosion getting any worse. 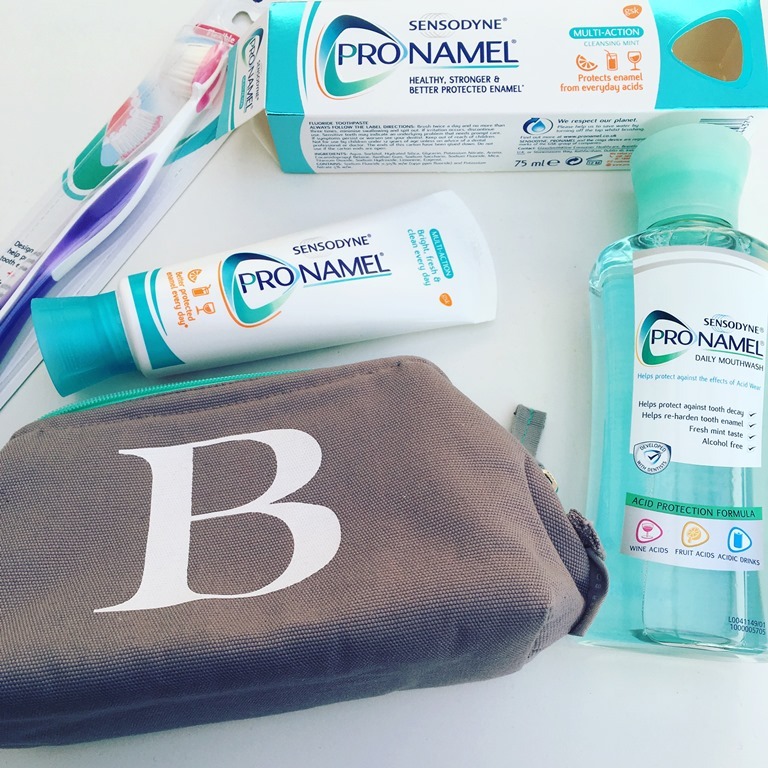 Pronamel has a nice and refreshing mint taste and leaves my teeth feeling polished and smooth, a good and effective toothpaste. My teeth look brighter. I really like using it and would purchase. Used in conjunction with Pronamel Mouthwash (alcohol free) which has a gentle mint taste, mouth feels super clean and fresh. Pronamel is available in a few different variants which I am looking forward to trying.